Probiotics have been gaining popularity in recent years. Exactly what they are and how they work is vaguely defined. 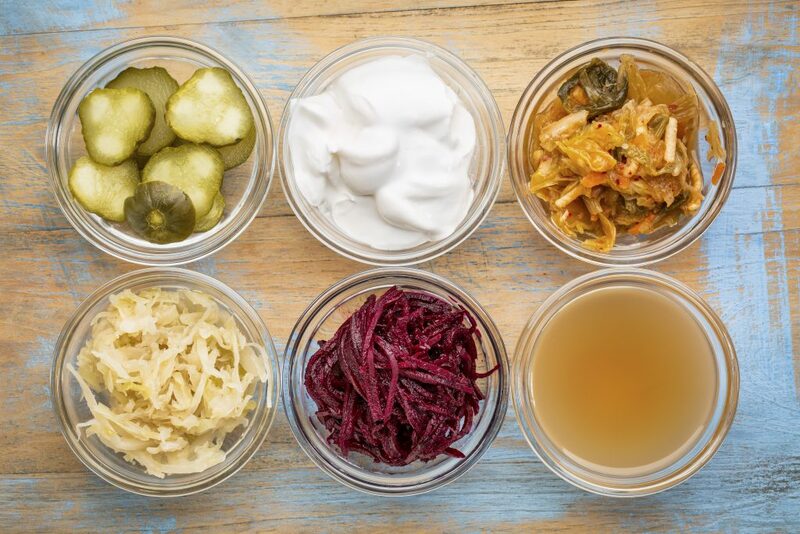 In some fashion or another, probiotics have been around since the early 19th and 20th century when biologists were found how bacteria and yeast were used in the fermentation process and linked them to health outcomes. In 1994, everything changed when the U.S. Food and Drug Administration (FDA) implemented the Dietary Supplement Health and Education Act, which allowed dietary supplements to be regulated differently than prescription medications, foods and beverages. This meant that less rigorous standards had to be achieved for probiotics to be sold. Consequently, probiotics were able to be sold over the counter allowing consumers to purchase them more easily. Probiotics are live microorganisms that are intended to have health benefits. Products sold as probiotics include foods (such as yogurt), dietary supplements, and products that aren’t used orally, such as skin creams. Not all bacteria is bad for humans. In reality, humans have a significant amount of bacteria in their gut (more specifically in the intestines) that is essential for digestive health and helping the body to break down and process food. Surprisingly, microorganisms in the human body outnumber human cells 10-1. Probiotics often try to mimic or copy the natural bacteria in the human gut. Probiotics can be purchased in a pill or capsule form over the counter or some are even available by prescription. Some physicians will just encourage probiotic yogurts, such as Activia. Probiotic use has been on the rise in recent years. According to the National Center for Complementary and Integrative Health (NIH),1.6% of Americans use a probiotic (roughly 3.9 million people) in 2012. That is four times more than in 2007. During that same period of time probiotics were among the top three most used natural products for adults and children. Probiotic supplements generated $4 billion in 2015, an 8% increase from 2014. Furthermore, the global market for probiotics is projected to grow 37% by 2020. North America dominates the majority of the probiotic market. The probiotic market is on the rise. Probiotics come in many varieties and variations. It is yet to be seen if all variations of a particular strand would produce the same benefits or not. For instance, if a specific kind of Lactobacillus (a type of probiotic) helps prevent an illness, that doesn’t necessarily mean that another kind of Lactobacillus would have the same effect. This complicates research and can seem overwhelming to think of testing all the possible strands of bacteria and its effectiveness in supporting the GI system. A good way of thinking about probiotics is that they are “minimally beneficial.” Whether or not you should try a probiotic depends on your personal take on the use of probiotics and how they could potentially help you. In reality, there are not many side effects of probiotics and generally, they are safe to take. So it is potentially worth a try. Others may think it isn’t worth trying probiotics because of the varying evidence and small chance of health improvement. Since probiotics could be considered “minimally beneficial,” you could try them for a week or two and see if you benefit from taking them. If you don’t see any improvement, you could simply stop the probiotic. If you notice improvement, then you could continue them. As always, it is a good idea to consult your doctor regarding the potential use of a supplement such as a probiotic.